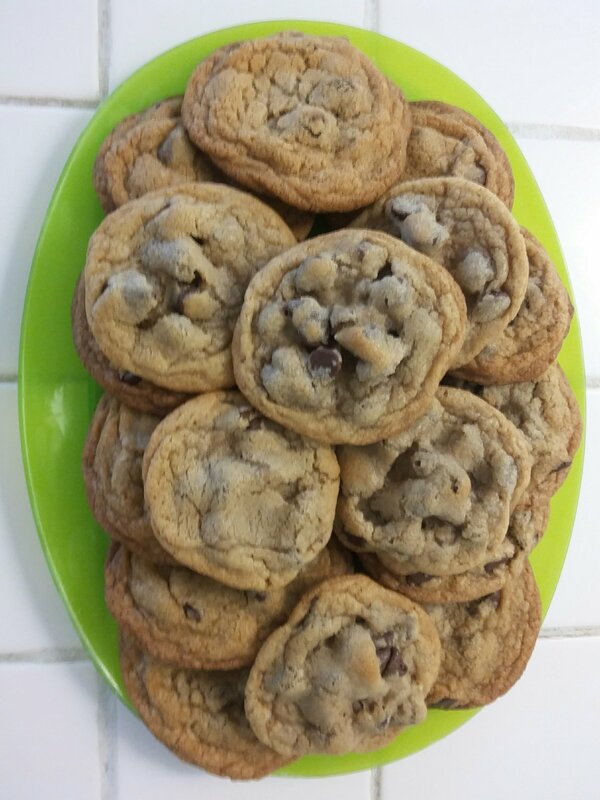 ORIGINAL NESTLÉ® TOLL HOUSE® CHOCOLATE CHIP COOKIES except I use 1/2 cup of softened butter & 1/2 cup cisco shortening (Crisco’s Recipe at bottom). I LOVE the taste of BUTTER, but the shortening is what my mother always used, so I compromised. I’ve tried them using just one or the other and I figured out the shortening gives them a little more body BUT the taste of butter…well! Hey! 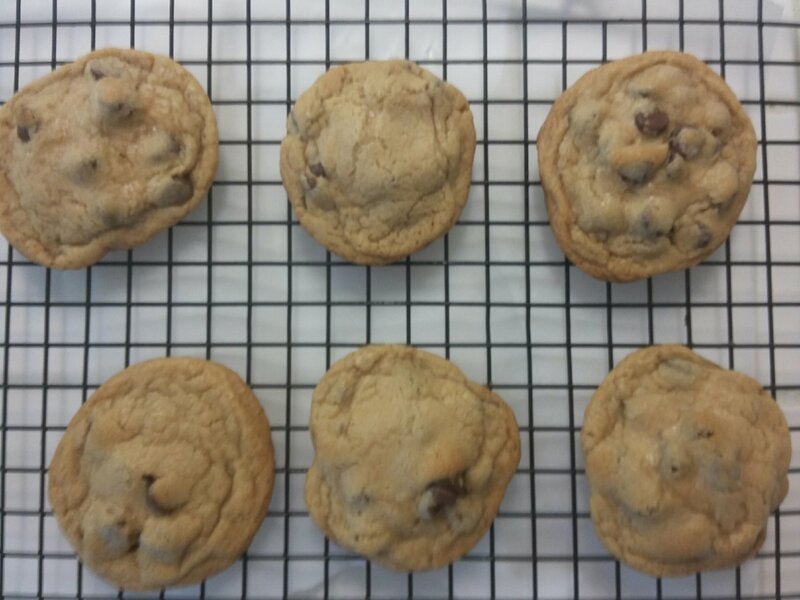 When I used all butter they are thinner…so if you prefer them that way, they are delicious! I like them both. Mixing it up with shortening also saves a little money on that butter. COMBINE flour, baking soda and salt in small bowl. Beat butter, granulated sugar, brown sugar and vanilla extract in large mixer bowl until creamy. Add eggs, one at a time, beating well after each addition. Gradually beat in flour mixture. Stir in morsels and nuts. Drop by rounded tablespoon onto ungreased baking sheets. I like to use parchment paper. BAKE for (theirs says 9 to 11 minutes) ‘8′ to 10 minutes or until golden brown. Cool on baking sheets for 2 minutes; remove to wire racks to cool completely.